It’s almost time to for the weekend fun. Berlin is super hot these days so what better way to celebrate the much needed summer heat than showing you my personal Summer Essentials. 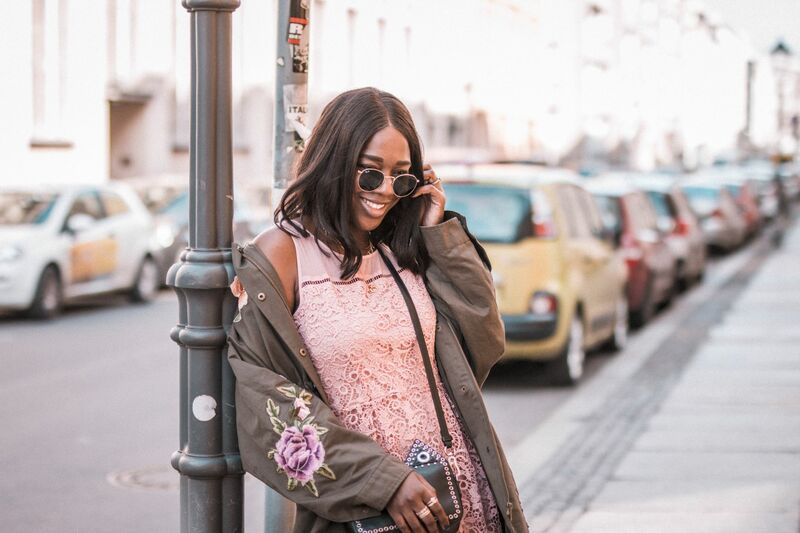 I’ve teamed up with JustFab Germany for a special project. Together with a bunch of other bloggers (Janina, Jenny and the Sophisticated girls) I’m showing you my must summer essentials. Next up is Anna so make sure to check her page out as well. In my case it’s obviously an all white look, I simply love wearing white in summer. To add a pop of color I’ve paired my outfit with a beautiful green cross body bag. It adds a little twist to my super clean ensemble and it’s such an eye-catcher in this emerald green color. Since I’m already quite tall for a girl, I’ve opted for a pair of flats to go with my outfit. This season I just can’t stop wearing espadrilles especially when they come in such a beautiful design as these ones. I would seriously wear this look everyday if I could. Simple yet stylish and super comfy. Now let’s come to the fun part of this collab. Attention: One lucky winner will have the chance to win 3 Store-Credits to shop her favorite summer items at JustFab! Amazing huh? 3. You can also use Facebook by simply posting one photo of this article and tagging my Fanpage MINNIE KNOWS. Don’t forget the hashtag! There only going to be one winner who will be able able to choose 3 styles! The competition is open to anyone from the age of 16 and will end on the 17th August 2015 at 8pm GMT. DE: Es ist endlich wieder soweit, der Sommer in Berlin ist in vollem Gange und ich freue mich sehr auf ein entspanntes Wochenende. Um euch eures zu versüßen, gibt es heute auf dem Blog ein tolles Gewinnspiel in liebevoller Zusammenarbeit mit JustFab Deutschland. Eine glückliche Gewinnerin wird gleich 3 Store-Credits erhalten um ihre ganz persönlichen Sommer Must Haves shoppen. 4. Um auf Facebook teilzunehmen, postet einfach eines der Bilder im Artikel und verlinkt meine Fanseite MINNIE KNOWS. Vergesst auch hier nicht den Hashtag! Es wird nur eine Gewinnerin geben, die sich gleich 3 Styles aussuchen darf! Am Gewinnspiel dürft dir ab 16 Jahren teilnehmen. Es endet am 17. august um 20.00 Uhr. In collaboration with JustFab Deutschland. Styling, photography and opinions my own.